MEMORIAL WEEK-END starts this Friday!! Bob and Judy hopes everyone in Camden will come out this week-end to see how beautiful the park looks. The BIRDSONG RESTAURANT will be open for exceptional lakeside dining! Come on to the lake and put your feet in the water. Or maybe tent camping with a campfire and smores makes you smile, Come to Birdsong! Make your reservations as we only have a few places available. Call 731-584-7880. 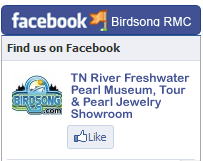 Birdsong Restaurant located inside our Community Center will be serving lakeside dining this week-end. Friday 5 p.m. – 9 p.m. and Saturday 11 a.m. – 9 p.m. Menu includes: Fresh Fillet Catfish w/fixings, Pulled Pork BBQ, BBQ Chicken, Pork Loin w/gravy, Hamburgers & Fries. All the catfish were swimming in the a.m. and frying in the p.m.!! After dinner, plan an evening at the Birdsong Drive-In. Tell them we sent you! It’s time once again for the Labor Day Dinner and Dance! 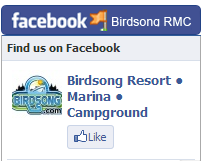 This year marks the 53rd season for Birdsong Resort, Marina and Campground. We have this annual dinner event as a special thank you for your patronage, loyalty and friendship. We appreciate good folks, good times, and good fun. “ITS FIVE O CLOCK SOMEWHERE” WEEKEND !!! YOU ARE IN FOR A TREAT ! Rick Williams Does buffet Better than Buffet !!!!.. Rick will be playing from 8-11 On Saturday June 21st. Right Here At BIRDSONG RESORT COMMUNITY CENTER ! !